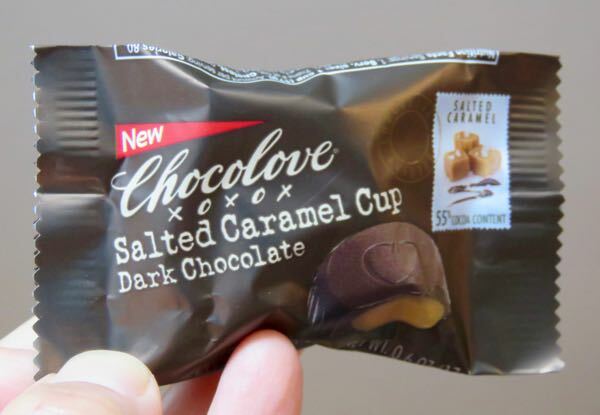 Today's Dark Chocolate (55% Cocoa Content) Salted Caramel Cup from Chocolove (Boulder, CO) came in a small (single cup) serving package. But, the flavors were big. Flavorful deep, dark chocolate was filled with soft, buttery, golden caramel. The 55% chocolate contrasted well with the sweet caramel. 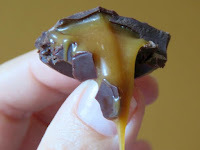 As will any caramel-filled chocolate, don't put this in your back pocket or take a large bite without having a napkin handy.